Having to survive on a single income was something we never expected to experience, having both been in stable jobs and career focused. However sometimes things can change. In our case it was my motivation that changed following the birth of our first daughter. After struggling with my return to work after becoming a mother, due to a combination of missing out those special moments a couple of days a week and frustrations with my work management, I quit my job of more than 7 years. I reached my limit in that role and was ready for a career change. Before then we had always made very safe choices in our household. I was bringing in a high portion of our household income, since I was a psychologist and in a management position. Finances were looking pretty good. Even part time, I was contributing to close to half the household income, so walking away meant huge changes for our household. After leaving my job, I decided to take a plunge into contract work as a psychologist, assuming it would be pretty quick to fill a day or two a week and therefore not a huge difference to my income. It sadly wasn’t the case, so my contributions to the household for a while were next to nothing. A huge difference to the financial situation we previously had. Thankfully my husband’s wage alone was enough to cover our basic living expenses and mortgage, but things were going to be a little tight. Thankfully we quickly learned some methods to survive on a single income during that period. Generally you have an idea when regular bills are due and what weekly, fortnightly or monthly expenses you will have. Make sure you budget for what essential expenses are due when so you can plan ahead for these expenses by putting enough money aside. For example, we know approximately when our home loan repayments are due each fortnight and we have more than this amount going into the joint account each fortnight from my husband’s pay to cover the direct debit for the home loan. We also know when to expect rego, insurance and related big bills each year and put extra into the account to cover them. Consider making small contributions on a regular basis to larger expenses. Automate them to simplify your life, so you aren’t having to remember every week or two. We make fortnightly contributions towards quarterly bills, such as rates, electricity and water by paying between $20-30 a fortnight towards these each of utilities. This means when the actual bill rolls in, there is very little left to pay on it, if anything, taking away the stress of the bigger bills. You barely notice the small amounts going out, compared to the big chunk of cash for the full amount. 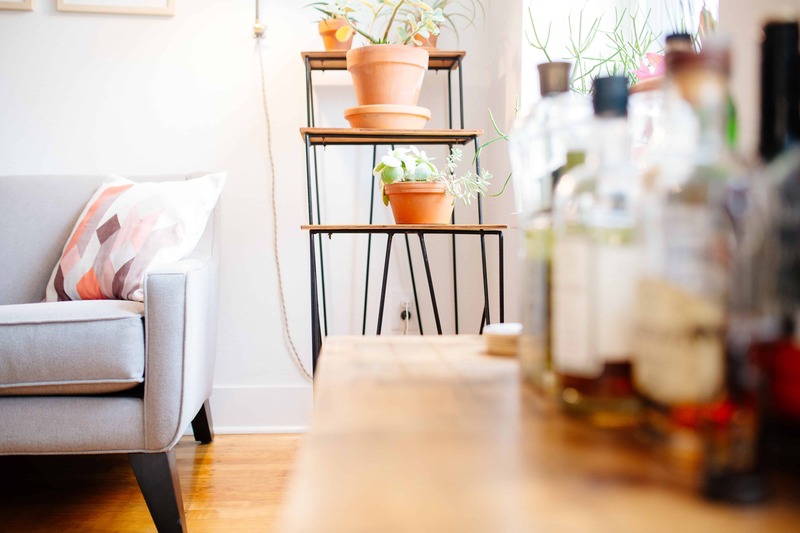 Chances are there is a better deal for the services you are using, so it pays to shop around every so often for such deals to save money on home expenses. For example, internet and phone services have lots of competitors and if you are not stuck in a contract, you may be able to score yourself a $10-50 saving a month just by changing providers. The same can be done for other services and utilities. We recently changed electricity providers for an extra 2% discount. Not a huge discount but better in our pocket than not. By this, I don’t mean start racking up your debts. Instead be smart with your credit and make credit cards work for you. Consider cards with special sign up bonuses such as reward points that can be redeemed for cash or services, or 0% interest balance transfers to help you pay off your existing debt minus the high interest rates. We are not inclined to rely on credit or rack up big debts on our credit cards. Both my husband and I are very careful with our credit cards, and yes I do have several. Each has a different benefit attached, such as frequent flyer rewards towards our next big holiday, or vouchers for shopping. Sometimes I use the credit cards to make big purchases or pay bills (so long as there are not credit card fees associated), then repay the amount straight away. This way I earn credit card reward points, but don’t pay any interest on the amount. Always try to pay your credit cards in full. 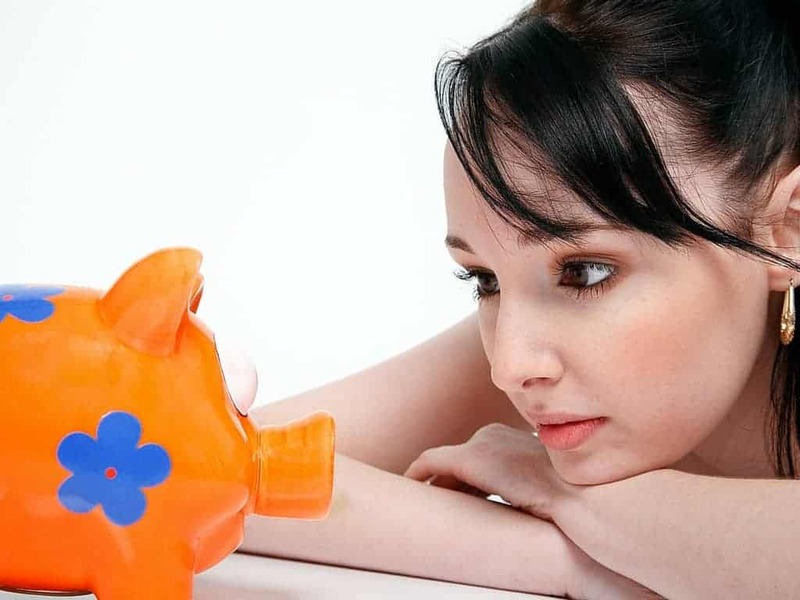 There are so many ways to cut down and save money on household expenses. Things like cable TV are not necessary but luxuries instead. If you already have enough clothes, maybe don’t buy that new pair of shoes you don’t need. If you have kids, someone you know may be able to give you quality hand me down clothes since they grow out of them so quick. Save money in the kitchen with meal planning and cook in bulk with freezer cooking. They compliment each other well and save money on food – less excess spending and less wastage when you plan your meals. Make your own work lunches. Don’t buy takeaway coffee if you can make it yourself in the office or at home. Plenty of ways to cut down on unnecessary purchases and save money at home. Most of us have unique skills that can help us earn from home, even if it’s only a few dollars here and there. Skills such as freelancing, online surveys, tutoring or babysitting can all bring in some extra cash. When I wasn’t working, I kicked off an Etsy store and sold handmade baby and kids accessories, digital products and custom invitation designs. Small change, but every little bit can help. Update: Since writing this post I have also been able to turn my hobbies at home into an income source, now working as a freelance writer, as well as earning profit through my blogging, here and elsewhere. If you want to learn more, plus find ways to do the same, you should grab my eBook – ‘Earn At Home’ to help you on your own way to earning from home. There is a whole lot of ‘trash’ you may have that could be someone else’s treasure. Declutter and downsize the amount of stuff you have to earn some money, as well as save money in the long run. It is time consuming but you will be surprised how much money you can make by getting rid of unwanted items. Consider all that stuff you no longer need or use. DVDs, CDs, books, clothes, household decor, kids toys and furniture. The list is endless. If you want to overhaul your whole house, the Simplify My Life challenge is made for exactly that purpose, with declutter checklists, organising tasks and ways to simplify your life from top to bottom. You may have some special skills that could earn you some extra dollars too. A while ago a person was asking for someone to scrapbook some sentimental photographs for them. A friend tagged me and I scored the job. Scrapbooking happens to be something I love and am quite good at so this lady was very happy with the end result, being that she wasn’t particularly crafty herself. You may have a similar skill, or perhaps you are great with web design, or home garden stuff. Maybe you are an amazing amateur photographer and could take some photos for someone. Put those skills to work and get the cash flowing in. It may turn into your very own earn at home business. Unexpected expenses pop up all the time and when you are trying to cut costs to survive on a single income, you may neglect to save, however having an emergency safety net is essential. Recently my husband had to fork out $2000 for repairs on his car. Not great timing, but thankfully we always keep a lot of savings. In our case we have always paid extra onto our homeloan so there is a massive chunk of cash sitting in redraw if we ever need it. We try not to use it though, so we can pay off the home loan sooner. Emergency money is essential in case something unexpected happens. Fast forward to August 2015 and we have just paid for husband’s emergency knee surgery, a new hot water system and other unexpected home repairs. So grateful for planning ahead! 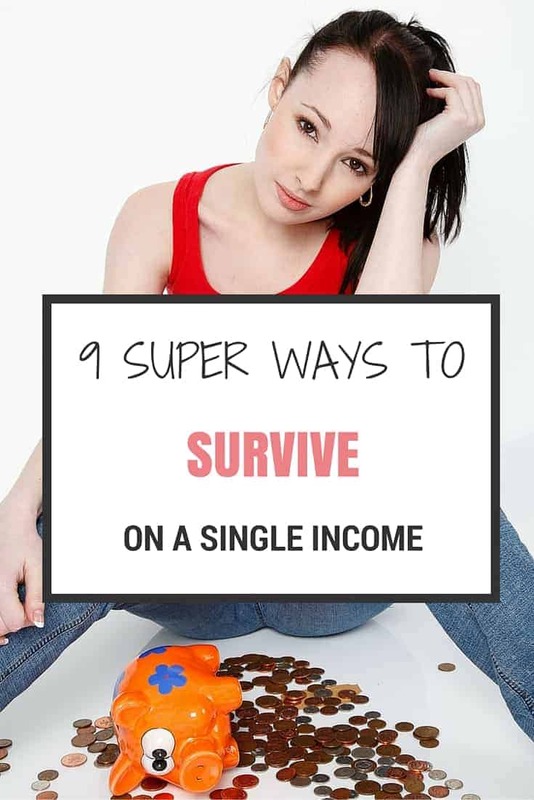 There are plenty of other ways to save when income is limited, and totally possible to survive on single income. Do you have any tips for how you survive on single income in your household? These are great tips Holly. I also made the big decision in the middle of the year to leave behind full time work to focus on my young family. It’s the best decision I have ever made, but I’m sure challenges lay ahead as we make the change to living on one income. This is a great post Holly! I am a cheap-dad, and live by most of these points everyday. The most important one is having those savings to fall back on, because there are always unexpected surprises. i like the ideas you post, but one lady said she canceled some of her credit cards. you have to be careful because it can bring your credit score down. your better off keeping them and applying even 15 dollars a month. and paying it off. its better for your credit. keep that score up.